Amelia Allsop: The Hong Kong Heritage Project (HKHP) Archive was established with the mission to collect, interpret and make accessible the historic records of the Kadoorie family and their business and charitable endeavours. The HKHP Archive has been accessible to the public since 2009 and holds an extensive collection of historic records and photographs. Amongst this collection are papers relating to rope manufacturing, one of the oldest industries in Hong Kong. HF: Since this article was first posted Amelia has told me that she has left the HK Heritage Project to embark on a PhD in London. “Due to its strength, versatility and water resisting properties, Manila hemp has long been favoured for the manufacture of commercial rope. The export of Manila hemp from the Philippines began in 1818. Hong Kong, with its shipping facilities and close proximity to the raw material source, was an ideal place to establish a rope manufacturing factory. The Hongkong Rope Manufacturing Co., Ltd. (Rope Co.) was established in Hong Kong in 1883 by a group of nine prominent businessmen, starting operations with a modest capital of HK$150,000. Under the management of Messrs. Shewan, Tomes and Co., the company supplied Manila Rope to the Admiralty and all leading shipping companies, its “Phoenix Brand” being world renowned. Before the Second World War, the company employed 200 hands, and used approximately 1,700 bales of hemp per month. In the immediate post-war years however, all hemp was controlled by the United States Commercial Operation, and supply was limited and difficult to obtain. The company also encountered financial difficulties due to heavy damage suffered during the war years. 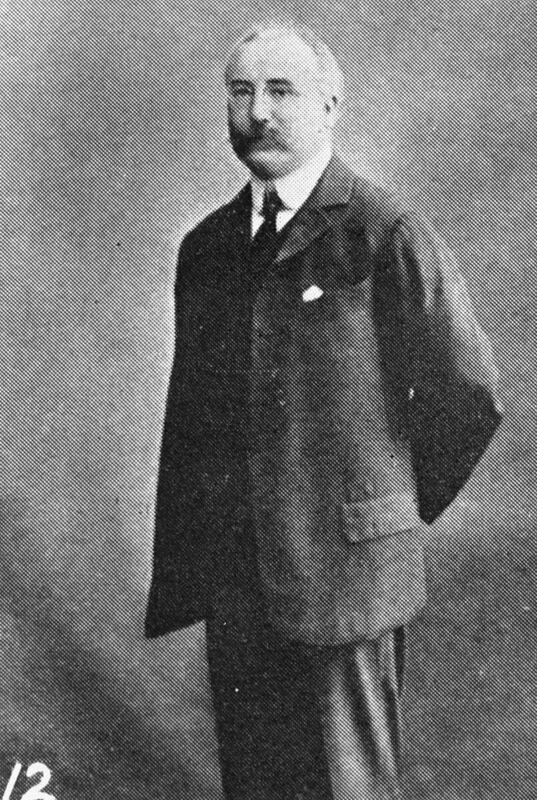 Robert G. Shewan of Messrs. Shewan, Tomes & Co. The Rope Company’s property at Mau Tau Kok in the 1940s. 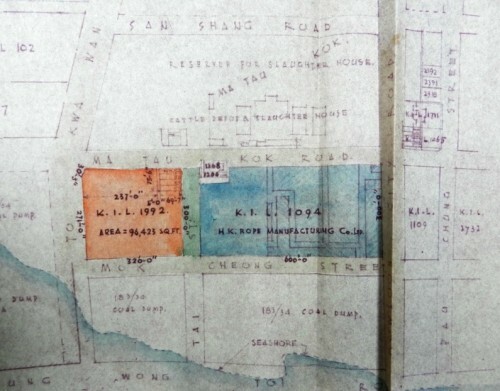 The collection of records held in the HHKP Archive (1933 – 1965) includes plans of the Mau Tau Kok property, Memorandum and Articles of Association. 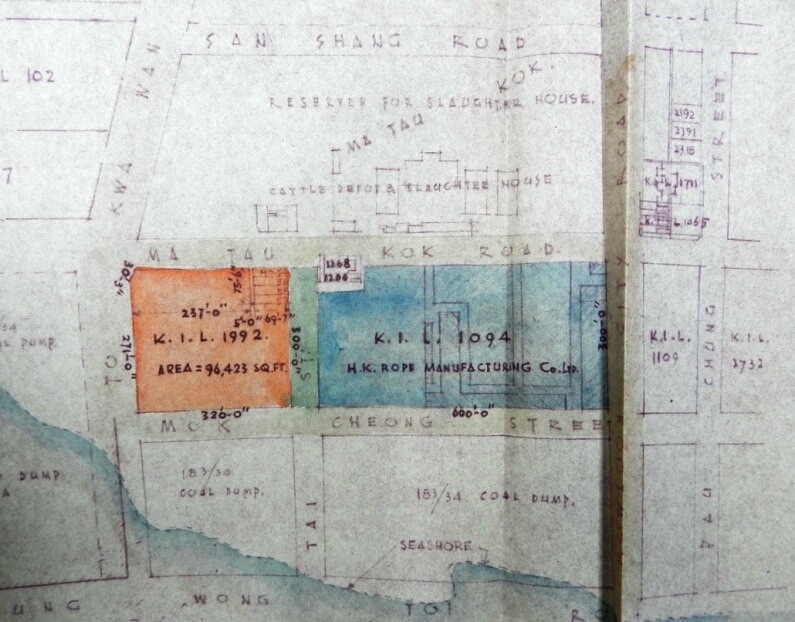 Kennedy Town 1889 map, rope and silk works?